Step 1: Browse and select your file. Please round up to the nearest inch for your selection below. 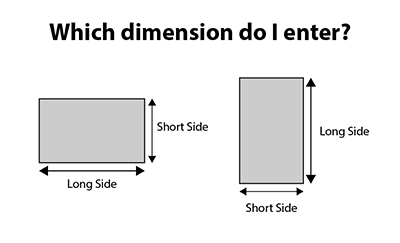 You can then note your desired printed dimensions in the Special Instructions field on Step Two. PC Mac This is required. Step 3: Enter your contact details. Please be sure to click the Update button below to record your changes. Who should we contact with questions about your order? Same as Shipping. New Info. Remember this information for the future. Step 4: Enter your billing details. You will need to authorize your payment. Look for a PayPal email! Final Step: Confirmation of order. Please review your order carefully before completing the order.